Lead, Nickel & Cadmium Free! 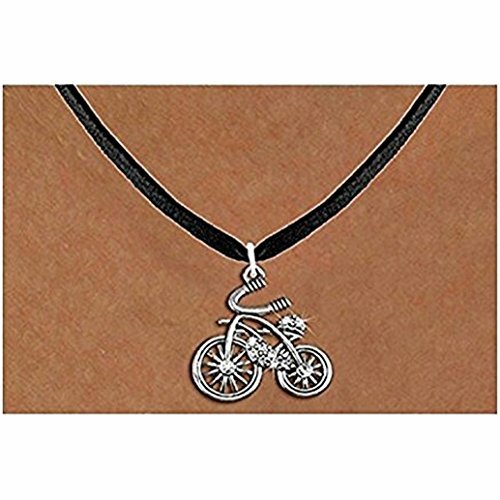 Necklace Suspends a Detailed Silver Tone and Genuine Austrian Clear Crystal Accented Classic Bicycle Charm. Comes on a Necklace Style Of Your Choice: Ball Chain, Regular Chain, Snake Chain, Or Black Suede Leatherette. If you have any questions about this product by Lonestar Jewelry, contact us by completing and submitting the form below. If you are looking for a specif part number, please include it with your message.